Exclusive, fold-up bag that holds at least 12 brushes. 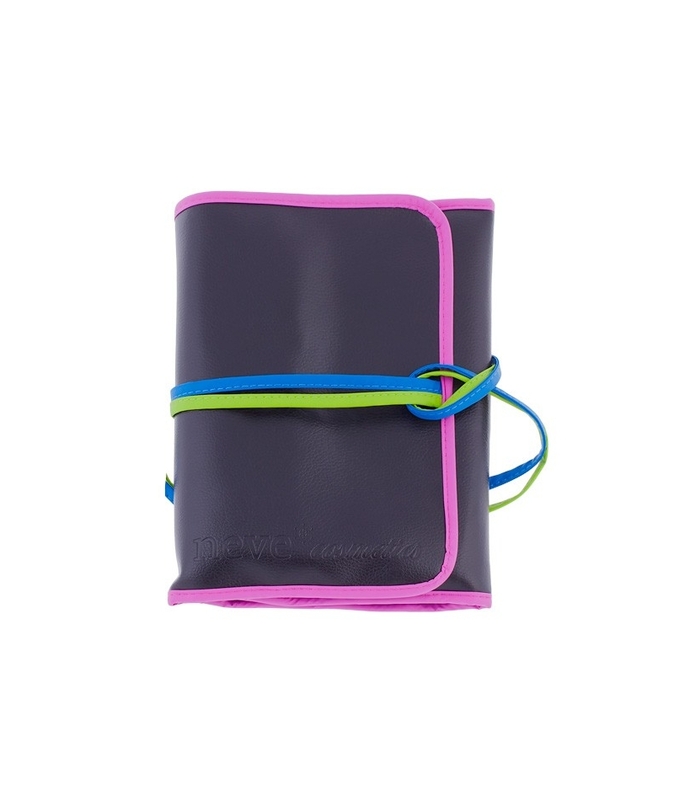 An elegant fold-up bag that holds at least 12 makeup brushes so you can carry them around with you. 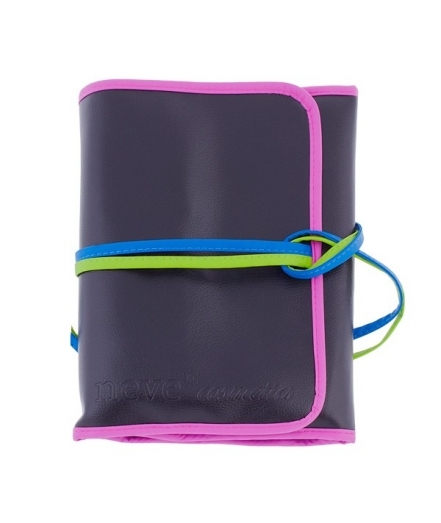 The bag is an exclusive Neve Cosmetics design in black with finishing touches in fuchsia pink, sea-blue, and apple green. It is made from durable and very easy-to clean, cruelty-free, vegan fabric. The bag can be folded like a book or rolled up, depending on the space requirements. The total height of the bag is 24 cm, the total length is about 56 cm, and it can hold brushes up to 21 cm long.